For me, September always marks the start of autumn. The mornings and nights are already getting darker, and I’ve been rather greedily looking out cashmere jumpers for the past fortnight. As much as I love a lazy summer, there isn’t anything quite as beautiful as a forest full of golden leaves. Another perk in the change of season? Longer nights mean more time to enjoy hot baths and good books, and really, is there anything more heavenly?! 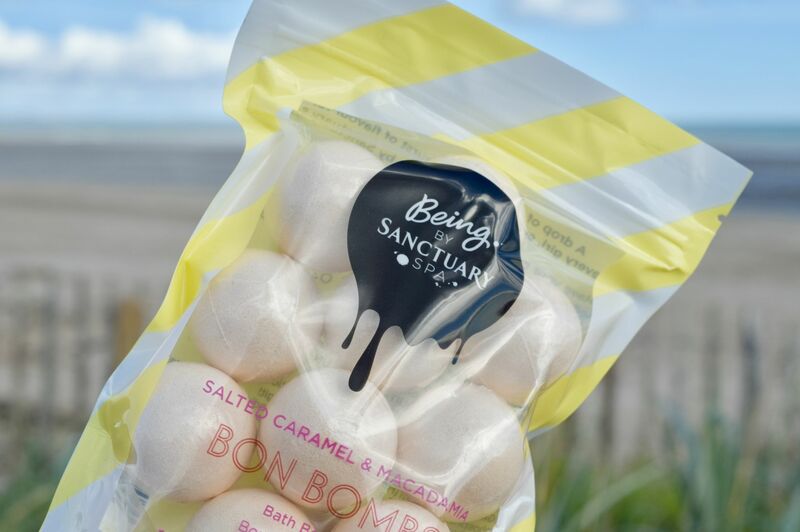 I’ve been loving Being by Sanctuary Spa’s Salted Caramel and Macademia Bona Bombs. Each pack holds ten mini bath bombs, so depending on how luxe you want your bath, you can add as many bombs as you want! Since I like mine smelling sweet – I tend to use three or four of the bombs per bath. The scent is super-sweet with hints of caramel and vanilla which feel perfect for this time of year! 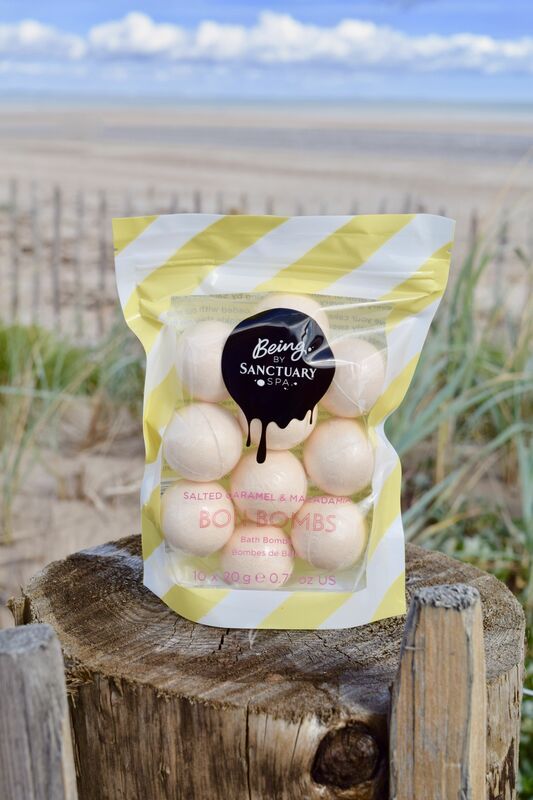 The bon bombs leave skin feeling soft and softly scented – they’re the perfect accompaniment to a great book, and a must-have for winter evenings!